Gossage is also scheduled to be helping the ball club with a ticket-sales campaign a week before the game. 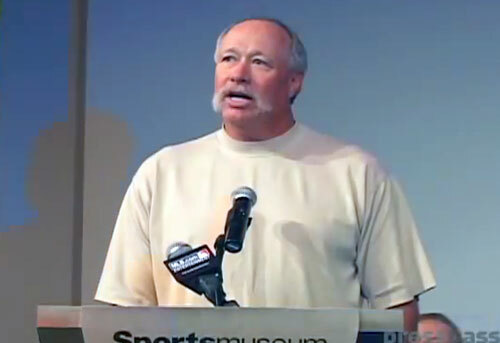 Goose Gossage is a former MLB right-handed relief pitcher. During a 22-year baseball career (from 1972-1994), he pitched for nine different teams, spending his best years with the New York Yankees and San Diego Padres. The nickname “Goose” came about when a friend did not like his previous nickname “Goss”, and noted he looked like a goose when he extended his neck to read the signs given by the catcher when he was pitching. Although otherwise known as “Rich” in popular media, a baseball field named after him bears the name “Rick”. Gossage was one of the few pitchers who employed basically just one pitch, a fastball. Sports Speakers 360 is a booking agent for pro athletes. If you would like to book Goose Gossage for a speaking engagement, appearance or endorsement, contact a Goose Gossage booking agent for fees at 1.855.303.5450.